An extremely flexible and fully reliable supply service allows Intervolventi to respond to the most complex needs of the clients, spread in various industries. The ability to get in touch with the clients and to deepen the customer’s needs allows the Intervolventi team to better exploit the solid technical “know how” and to guarantee excellence in the sales and supply process. A wide range of products covers a broad variety of applications, meeting the needs of different merchandise sectors. Moreover, the ability to makes customized bearings represents an additional distinctive element in the supplies, whether they are based on the customer’s technical designs or on the ad hoc customizations made by the Technical Assistance Service. Other food&beverage machinery OEM n.e.c. 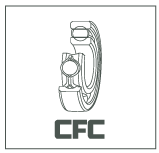 Other machine tool OEM n.e.c. Other industrial automation OEM n.e.c. Other printing machinery OEM n.e.c. Other textile machinery OEM n.e.c. Other industrial machinery OEM n.e.c. Other specialized machinery OEM n.e.c.